Boasting the finest of everything that London has to offer, from dining to shopping, hotels to bars, Mayfair is the perfect place to visit and be pampered in every way. Its boutiques and shops are temples to luxury goods and have more designer clothes, accessories and jewellery than you can carry. With the finest shopping experience in London, it’s hard to leave the district empty-handed, though very easy to leave with an empty wallet. Once the Mayfair visitor has tired of trying on designer gear or admiring beautiful bespoke items in its many bijou shops, there are plenty of fine restaurants and bars to which one can retire and enjoy fantastic food and drink amongst some of the wealthiest residents of the city. 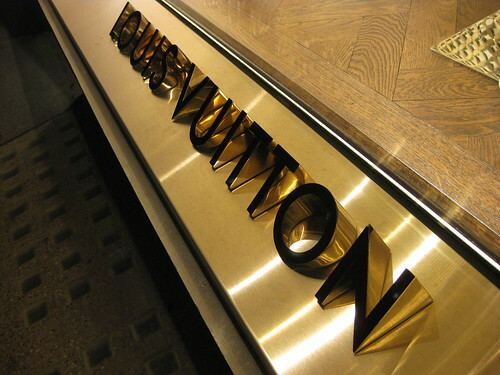 Shopping in Mayfair is bursting at the seams with designer names and exclusive brands. Many of the most prestigious labels from the UK and around the world have chosen to have their flagship stores in this chic West London haunt and as a result there’s no shortage of places to indulge a passion for fashion. Distinctively British label Mulberry, famous for its outerwear and leather goods, takes pride of place on New Bond Street along with the new Louis Vuitton Maison, which has some 35,000 square feet of space that is billed as the most luxurious of its stores in the world. Stocked with some of the most rare and sought-after pieces in the Vuitton collection, the Maison also offers a selection of limited print books on contemporary British art. Those looking for something a little edgier should head to Dover Street, where Comme des Garçons designer Rei Kawakubo has opened a six-storey store with echoes of London’s indoor markets. Dover Street Market, as its known, has concessions from the likes of Givenchy and Lanvin as well as lesser-known but no less chic designers. Mayfair’s finest restaurant by a mile is the positively opulent Corrigan’s on Upper Grosvenor Street. Offering drinks at the bar as well as meals in its dining room, it feels luxurious from the moment the maître d’ takes your coat while the resident pianist plays the baby grand. Tasting menus are on offer from £75 and offer the chance to see the inventiveness and flair of the chefs while the offer of a bowl of chips on the side stops it from being too formal and stuffy. For something a little less dizzyingly extravagant, North Audley Street’s Princess Garden offers some of the best dim sum anywhere in London – including Chinatown – and has an understated air of elegance and fantastic service. Mayfair counts amongst its hotels some of the most famously luxurious in London and most well-known around the world. 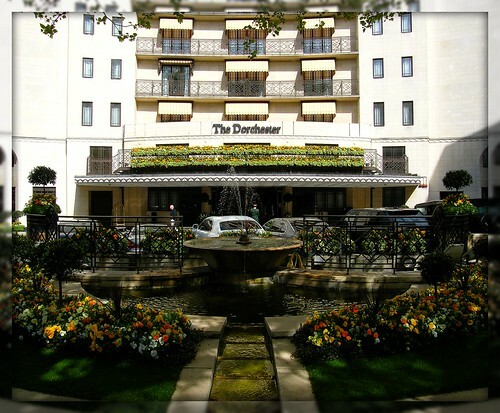 Claridge’s and The Dorchester are two names that are instantly recognisable and speak of elegance and indulgence. For something a little different in the area, visitors could choose instead the well-appointed apartments at No. 5 Maddox Street. Each of the luxury suites has a lounge with designer furnishings, a private kitchen and access to the 24 hour concierge service, all of which give just a small flavour of what it’s like to live in this wealthy and fashionable part of London. Mayfair really does have the best of everything that London has to offer. Its most prestigious hotels provide a great place for those wishing to experience the London high life to stay, while shopping and dining are unsurpassed anywhere else in the city for those seeking the most privileged experience of London life.